Paper choice always matters in a print job. For one thing, it can represent a significant portion of the cost of an average print job. For another, paper has to suit your purpose. Is the paper weight appropriate? Will ink show through to the other side? Will it be OK going through the mail? Paper also affects the design, so you need to choose carefully. Fortunately, here at Print-Tech we’re paper experts, and we’re happy to help customers specify the right paper. Some fundamental paper knowledge will help, so in this issue, we’ll cover some paper basics. Printing papers fall into these general categories, or grades: bond, offset, text, coated, and cover. Most of the time, you’ll use one of these papers for your print jobs. Less common categories are newsprint, tag, lightweight (or Bible), Bristol and index. Each paper category serves a particular purpose. It’s our job to help you select the right sheet. Coated paper is manufactured at the mill with a surface layer of coating, giving it a smooth finish, or sheen, that uncoated paper may not have. There are many kinds of coated paper. Dull-, silk-, or matte coated paper has a non-gloss finish. Gloss-coated paper is, as expected, shinier, and more polished. Different brands have different sheens for each type, and our salespeople can show you samples and help with the selection process. Gloss-coated paper grabs attention and helps images “jump” off the page. 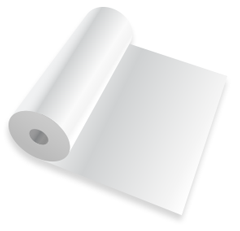 Coated paper prevents the ink from absorbing into the paper. This allows for cleaner, crisper printing, especially in photos, solids, blends and fine details. It’s ideal for some projects (magazines, book covers, flyers, posters) but not for others (business cards, forms, book text). Uncoated paper stock is paper that has not been coated with a surface sealant. Inks dry by absorbing into the paper like a sponge. This paper type can soften the colors that are printed. 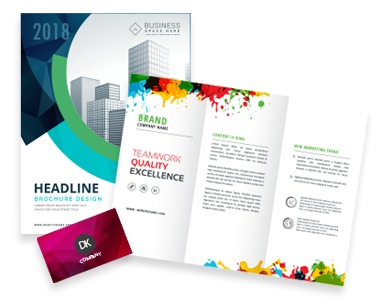 Uncoated papers comprise a vast number of paper types and are available in a variety of surfaces, both smooth and textured. If a printed piece will be written on (return form, reply postcard, survey), then uncoated stock is ideal, since ink could smear on coated paper. This basic introduction to paper weights and finishes will benefit you when working with your printer. Over time, you’ll appreciate the difference between, say, a 70# offset and an 80# cover, and you’ll be able to identify a matte finish as opposed to a gloss finish.